Are you looking for a competent, reliable contractor capable of remodeling your existing business or offices within the Central Michigan area? Hubble Construction and Restoration is a full service general contractor specializing in commercial remodeling and renovations for commercial buildings and existing or new local businesses. Offices, restaurants, public facilities, retail stores, strip malls and more. It doesn’t matter if you just want to add a new bathroom facility to your current building or an additional 1500 sq/ft of office or retail space. Hubble Construction and Restoration is licensed and insured and capable of completing any small scale commercial renovation project. What Do We Mean By Small Scale? Hubble Construction and Restoration has completed many small commercial developments such as both Speedway and Kroger Gas Service Stations in Central and Eastern Michigan. As well as work for Small Businesses, Shopping Centers and Malls. Our work at these locations included all phases of construction, working from blueprint to completion under deadline pressure. If you want a skyscraper built, we’re probably not the best choice… If you want to build a new strip mall and anything smaller, we’re an excellent choice! We have experience working in the fast, paced and busy environment of commercial projects. Time is money, and we understand that. When you hire Hubble Construction and Restorations to take on your project you’ll be given rigid deadlines for the completion of our work. We don’t just understand deadlines, we understand convenience. 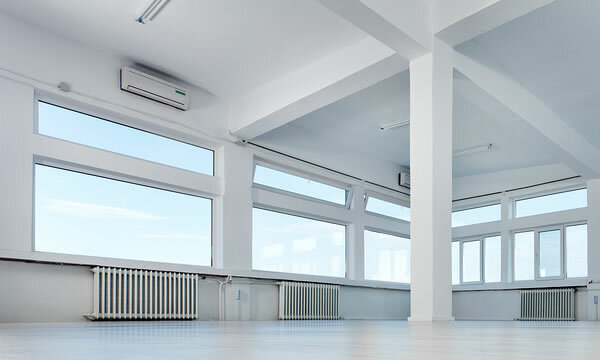 Let’s face it… Remodeling your commercial building or business location is not an easy task. You need a contractor who can work with your busy schedule and accommodate your requests. Every business that we work is different in this regard. You may need a temporary facility setup, you may need alternate entrances, wheelchair ramps and more. We can make the special concessions required to keep your business operating while we conduct your remodeling project. How your customers and employees perceive your business or establishment is extremely important to you. It’s important to Hubble Construction and Restoration too. We’ll make every effort possible to transform your place of business into something you and your customers will love.